Ever wish you could toss your eye lash curler and wake up every day with your lashes looking beautifully and naturally curled? Or maybe you are feeling like you're in a lash lull? Well then get ready to have your lash love lifted! A lash lift is one of the hottest trends in the beauty industry right now! Beauty Perks; they are affordable, require low maintenance and the service only takes about 30-45 minutes. Want to know the best part?? They also last 6 - 8 weeks! The above photo is a before and after of my lash lift from our lash stylist Haydee. She used Ellebana Lash Lift. 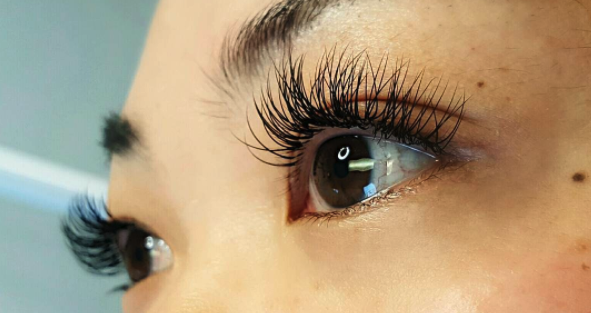 Make sure to book Haydee for your lash lift appointment! 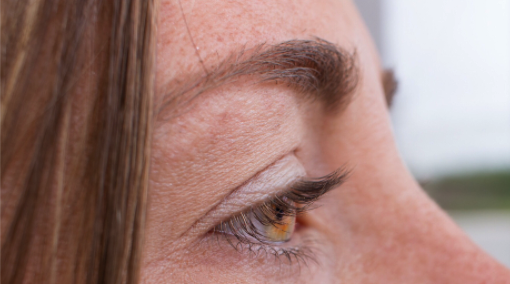 A Lash Lift is a treatment performed on the natural lashes to enhance thickness and length. No extensions are used and they look great even without wearing mascara. 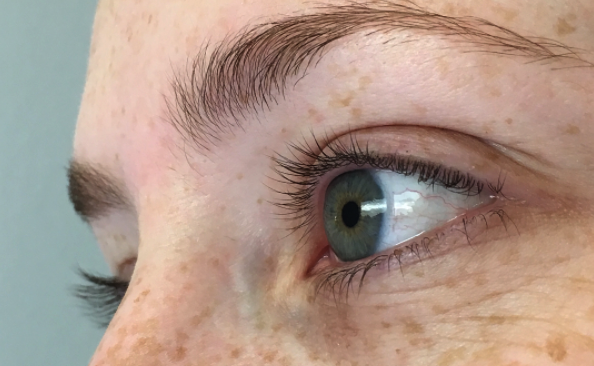 Certified technicians use a unique technique combining a lifting lotion and silicone rods to lift your natural lashes. Make sure to book your appointment today with Haydee to receive your Lash Lift! We have a November Special you won't want to miss! Lash Extensions, the Instant Makeover. If you're like most women, you are busy, busy, busy. From the moment you get up, until the moment you rest your pretty head at night, you are going, going, going! Putting on a full face of makeup every day can be extremely tiring and timely. Especially eye liner! Ugh, eye liner. The struggle. Getting lash extensions can be a true miracle for the gal who struggles with that perfectly straight, winged liner. Or, for the gal on the go who just doesn't have the time to fuss with it. Wouldn't it be great to roll out of bed, put some face makeup on (no eyes) and call it a day? Or, better yet, skip the face makeup all together! Yes, yes! 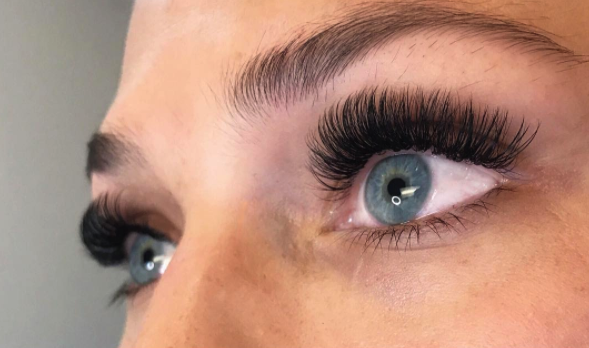 Check out some of our latest lash extension clients to see what we're talking about. Lash Artists - Haydee and Sam A. Why I love being a Bridal Artist: I love the versatility of the beauty industry. Not everyone has the chance to go into work and do different things every day. Not every client is the same, not every service is the same. I love being able to explore new aspects of my career. There’s always new things to explore in the field. I love being able to keep learning and keep growing as a beautician. It keeps me interested and passionate about my job when it isn’t me doing the same thing everyday. I have fun meeting new people and taking their vision and being a part of their transformation wether it is a simple change or a drastic change it’s nice to make someone feel good about themselves. Best Tip for Improving One’s Style: Always have one day of the week to self indulge! You don’t even have to go anywhere to do it just have a day at home to treat your hair with that treatment your hairstylist recommended you try, apply at home sheet masks, exfoliate, paint your nails . Keep yourself put together, because when you look good you feel good! Something That Makes Me Smile: I am definitely that person a friend can call to go on a spontaneous adventure with!! I love hikes I love nature ! The beach is my happy place! Anytime I want to unwind I definitely seek nature! But what will never fail to make me smile are dogs.